Kids Puppeteer. Puppet Master. Puppet show. Puppeteer. A puppeteer is a person who manipulates an inanimate object, such as a puppet, in real time to create the illusion of life. The puppeteer may be visible to or hidden from the audience. 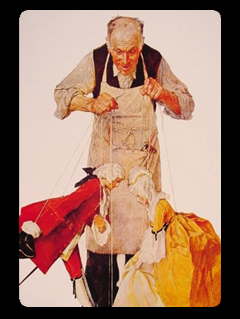 A puppeteer can operate a puppet indirectly by the use of strings, rods, wires, electronics or directly by his or her own hands placed inside the puppet or holding it externally. Some puppet styles require puppeteers to work together as a team to create a single puppet character. We book kids puppeteers for kids puppet shows. At your kids birthday party, book professional kids puppeteer. His puppet show is ideal for young kids at their birthday party or special event. Book a kids puppeteer, for an amazing puppet show now.